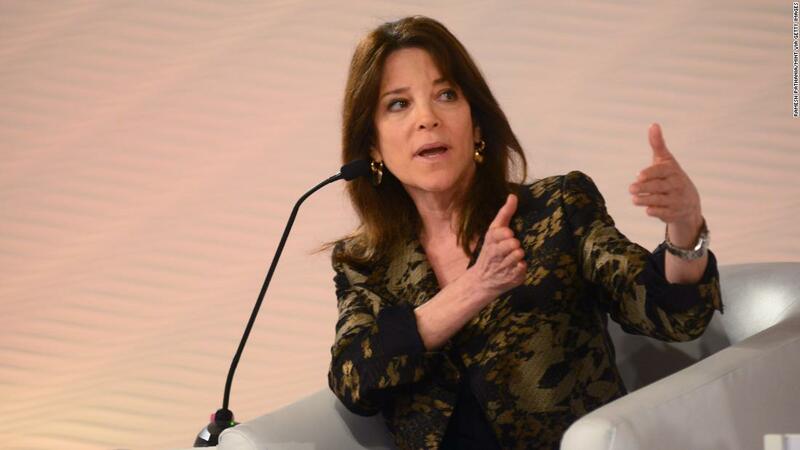 Marianne Williamson, spiritual counselor to Oprah Winfrey, said in an interview Thursday that she is running for the White House because America needs a "moral and spiritual awakening." But in reality, she is just another lefty wacko. Williamson’s platform includes support for a Green New Deal, universal background checks for gun owners and free college or technical school for all students, according to her campaign website. And in a new twist, in the CNN interview, she also called for reparations for slavery, with $10 billion per year for 10 years to be handed out in projects. "I believe $100 billion given to a council to apply this money to economic projects and educational projects of renewal for that population is a debt to be paid," she said. Hey, maybe she will take some votes away from Kamala. Below is her official announcement. She speaks with an old lady fire and brimstone style, but what stopped me from watching beyond the 7:45 mark was when she blamed Milton Friedman for the country's current ills. A Self-aggrandizing narcissist posing as Mother Teresa on steroids. That tax witholding thing is pretty awful. I've never watched any presidential debates, but I might have to make an exception for the DNC primary debates. Intellectually, it will be like watching a middle-school debate, but to see each of them out-Marx each other could be quite entertaining.